Submitter: “Billy, the Condominium Cat” – what could go wrong? Holly: This is a children’s book, so hopefully they won’t catch the joke because they won’t know what a condom is. On the other hand, they might think that’s really the title and go around asking people what a condom is. 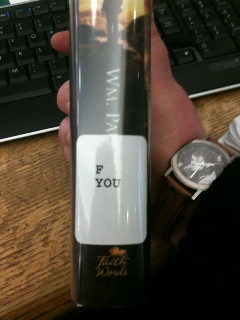 Last thought: Why do libraries leave price tags on books added to the collection? It’s just tacky. Get some Goo Gone and scrape them off. This isn’t a used book store. Submitter: I didn’t weed this book but I found it in the recycling bin, so clearly someone found it less than relevant for our small academic library. 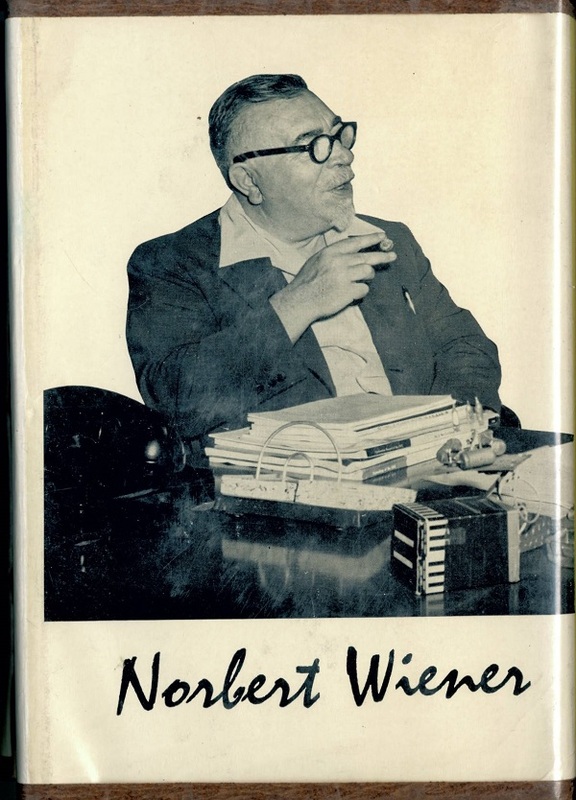 I’m sure this book has value, but I found the name Norbert Weiner, the title, and the front image to be hilarious. It’s so enthusiastic, and I’m trying to imagine if a similar book could be published today. It’s amusing, but back in the recycling bin it will go – we don’t specialize in mathematics here. Mary: Here is the Wikipedia on Norbert Wiener so we can educate ourselves while we giggle at all of this. My inner 12 year old boy is going to be giggling all day long thanks to this post! Also, the first line of the front blurb, “An account of the mature…” acting carrier? “H-O” means “Half O” size model tracks (I have no idea what “O” means beyond “big model trains”). My husband the former hobby shop employee could explain it better. I’ve always found everything in his store labeled “HO” snicker-worthy. HO railroad collector here. I never thought about getting books from the library on the subject. 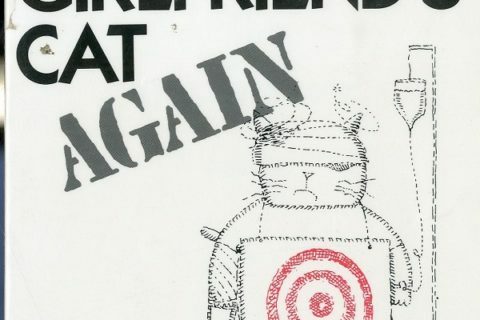 So much is covers on forums. Online pictures also help out a lot too. My inner 12 year old boy also totally appreciates this post! Someone’s being funny with the stacked titles in Condom Cat photo. Ha! I didn’t even notice that! Extra points to submitter for that. My inner twelve-year-old boy picked up on that right away. It took me untill I read Becky’s comment before I realized they weren’t random selection. They really should have put Billy the Condom before Wet World though! Not to mention the spine label, that appears to read “juvie”! 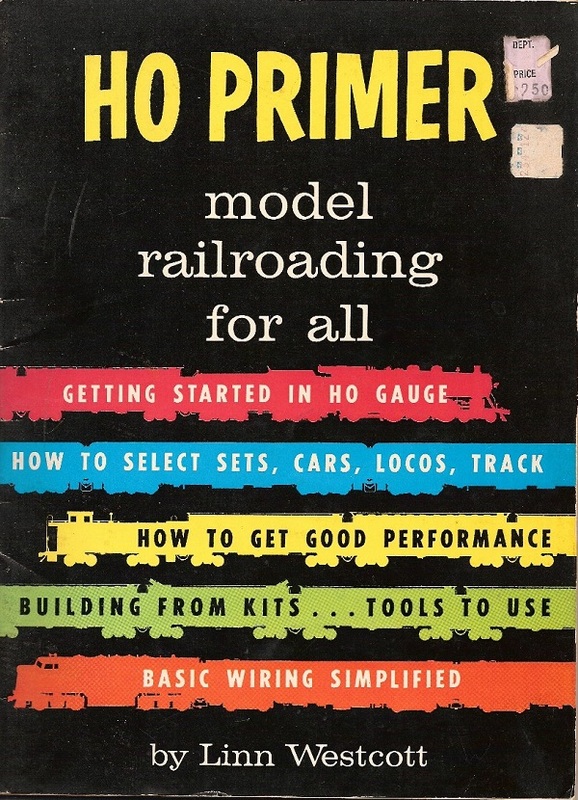 The “HO Primer” (pronounced “aitch-oh”) is actually somewhat of a standard work in the model railroad field. Linn Westcott was the editor of Model Railroader, the biggest magazine in the field, for years, and many magazines still carry that magazine on their shelves. Having said that, however, this book is amazingly obsolete in terms of the state of the hobby. While many of the fundamentals haven’t changed one iota–how to set up a framework for the layout, how to create scenery, etc.–some aspects have changed dramatically, the most notable being the internet marketplace of supplies and the introduction of “digital command control,” or digitized electronic control of individual locomotive models akin to radio remote control. It’s akin to having computer books that don’t deal with Windows/Mac graphic-user interface. 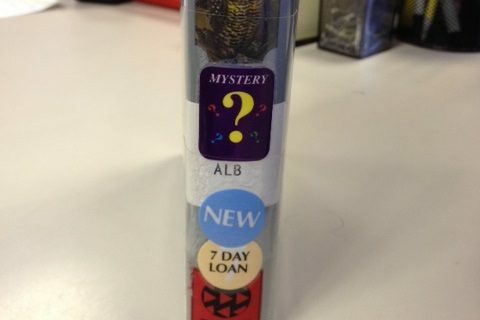 In my experience of nearly 50 years in the hobby, people who look to libraries for information about model railroading are either dipping a toe in the hobby pool, looking for information on how to set up the train around the Christmas tree, trying to figure out if those old toy trains are worth the “mint” they’re supposed to be worth, or looking for further information about the railroads or prototypes they are modeling. 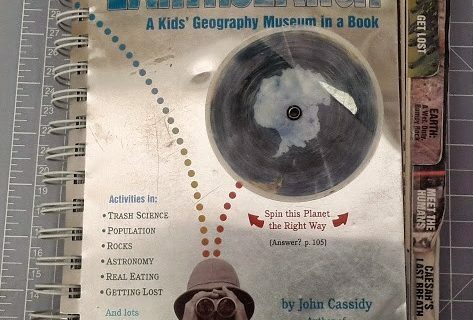 An updated version of this book would be for the first category. As a physicist, I can attest that Weiner was a brilliant man (and I got to see the Weiner-Khinchin theorem used several times when I was studying the theory of lasers). As someone who occasionally has a 12-year-old’s sense of humor, all I can say is…Weiner space. I suppose you all snigger at the Oscar Meyer commercials, too. Or maybe they don’t have those anymore, the public having dumbed down so much. But I would have expected better from the readers of this blog. 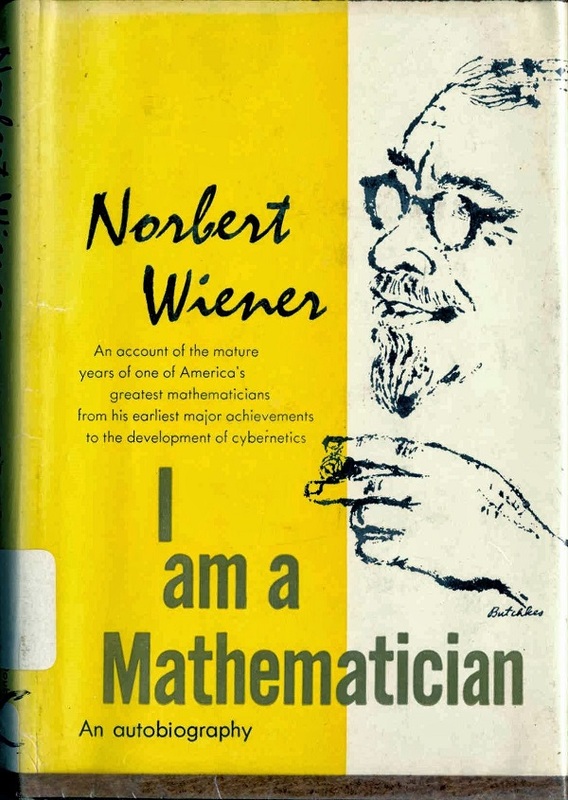 It would never have occurred to me to mock Norbert Wiener! Sorry if I sound elitist. But maybe by the standards of today, I am.